After watching this film, there is one obvious question that comes to mind, “What is the difference?” Even the high priced defense attorney brings this question to light while questioning the upscale female abortionist. What is the difference between what Gosnell did and what abortionists do every day? They go into the womb, where a living human being awaits birth. They extinguish the life of a living soul with various barbaric means. Then they deliver that corpse of a murdered person. If by chance, one is birthed alive, they lay it on a table to die an excruciating death of exposure, dehydration, and starvation. Gosnell seems downright merciful comparatively. When the person is born alive, he used scissors to severe the spine, and kill them. You see, there is no material difference between these two murderers. Sure, there are some differences in the details, and methods, but the results are the same, the brutal usurping of God’s right to give, and end life. The blood of the infants cries out to God for justice. On judgment day, all of those who are complicit will answer for their heinous crimes. 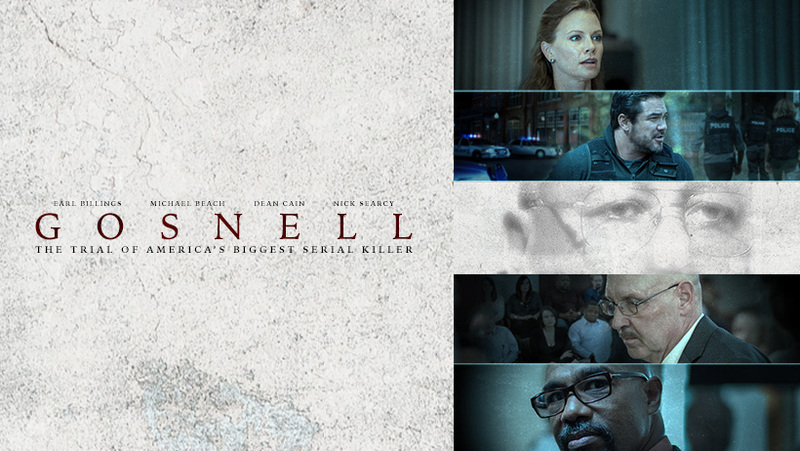 A Guest Review of the Movie, “Gosnell: The Trial of America’s Biggest Serial Killer” by A. Galardi. Let it be said, “Gosnell: The Trial of America’s Biggest Serial Killer”, truly is horrific in its telling. This is not some film, not some piece of fiction, but the untarnished truth of what abortion is. This isn’t due to graphic violence, or horrendous language, but the artistry in which the actors portrayed the events as they unfolded in Pennsylvania. The efficacy of detail, the absolute portrayal of the actors and the individuals that they delivered on screen, I can say that what I expected going into the theater that night and what I knew after coming out of the movie was life affirming. I went to my vehicle with my husband and we both sat there in stunned silence. I cried. We, each individual cell that is made of who we are, are known to God before the creation of the world. He knew us in our mother’s womb, and not some randomization of happenstance thrown together by cosmic indifference. I knew beyond all doubt that I needed to see this movie. I needed to witness it and understand the gravity. This is not a film, even though rated at PG-13, that I would take teens to without full disclosure to them because this is a film that will destroy your naiveté about abortions. This will disgust you, humiliate you, and open your eyes to what barbaric practices abortion truly does not only to the baby, but the family, the mother, the siblings, the world. You cannot watch this film without condemning the very thought of anyone committing such a heinous sin. And you come out thinking we have, as a nation, “In God We Trust” and yet we allow the murders of innocents and babes. We deserve a fate from God much as what he delivered the Israelites to the Assyrians in 2 Kings Chapter 17. We deserve it and more. Gosnell, in all his evil, destroyed much for his glutinous lifestyle. He also did this because of the complete sociopathy of our nation diverging from God and believing the sin of our own importance preempts God’s authority in our lives. But let me emphasize, as the people in the film did, the DA wanted the prosecution of this man not to be over abortions, but over murders. He murdered viable children and a woman. I say, he murdered. He murdered for over 30 years. Each life that he destroyed, the family and from the mother’s womb, each instance of him doing so is a sin against God and slap in the face for every Christian out there. Even to this moment, I wish I had never watched this film. But even to this moment, I am thankful to God that I have done so. This is the type of movie that is completely life affirming, and beyond doubt demoralizing. I urge you, even if it makes you terrified, this is the film you need to see. This, because it is real, it is still happening, and it is TRUE. You can learn more at the official movie site here.